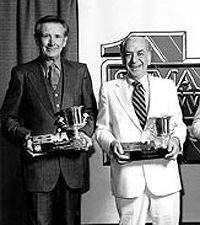 SEMA Hall of Fame - Jack Goldstein, 1979, Jack Goldstein & Associates. Jack was a pioneer of what is known today as a sales representative or sales agent—a rep in today’s automotive industry jargon. He was an innovative planner and marketer, one whose successful career was founded on honesty, integrity and trustworthiness.